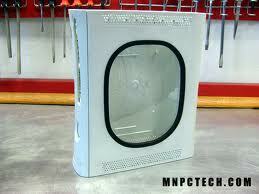 I am stevenn21 and this tutorial is on how to mod an XBOX 360. 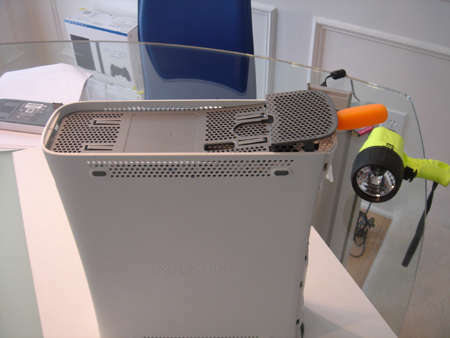 Before i start i want to say this is not the cheapest way to mod an xbox 360 but its the best and safest way. 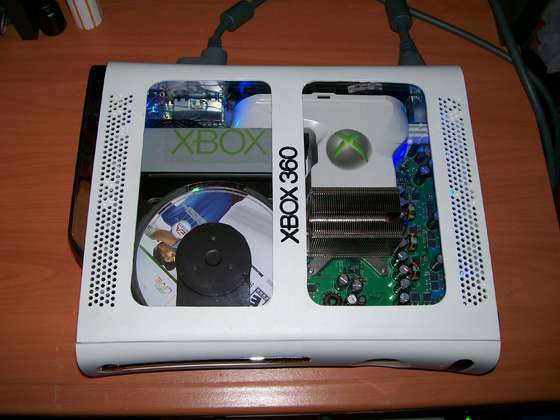 Modding your xbox 360 this way will NOT get you baned from xbox live. Also i will tell you which mods will get you banned and which are dangerouse later in the tutorial. 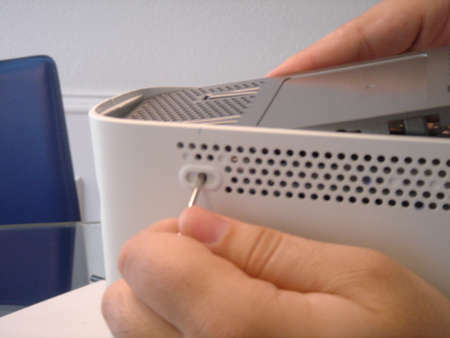 To mod your xbox 360 in this way will cost around £60-£70 (assuming you already have an xbox 360 with controller(s) a dremel and a vacume cleaner). I will only be spray painting the controllers not upgrading them to rapidfire. 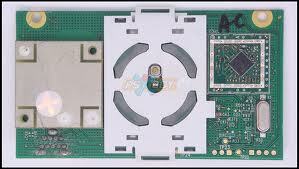 (The clear disc drive lid will only fit the Samsung Hitachi, BenQ, and Lite-On drives. 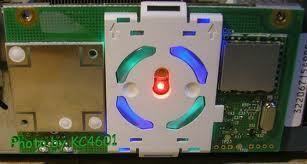 It will NOT fit the Samsung or Toshiba drives i will show you how to mod theese drives when we come to the drives). 1 modded ring of light RF board (power button) modded with colours of choice you can buy theese on ebay already modded (available on ebay). You can buy kits and do it yourself but it’s very hard to get right and i will NOT be covering that in this tutorial so buy it already modded. 4. 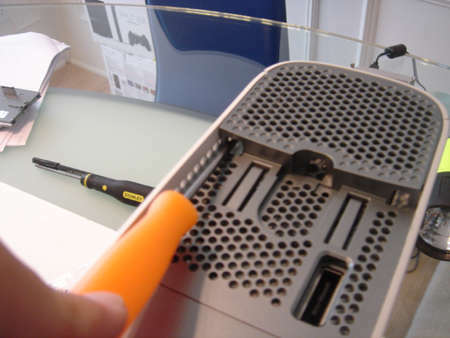 Now, to remove the pieces you will need a small pointed object such as a small screwdriver or the opening tool. 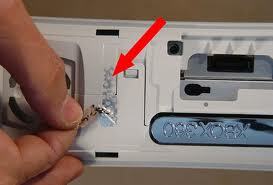 You will now need to locate the plastic tabs within the wholes and push them in with your pointed object. Each piece has three tabs per side totaling 6 tabs for each piece. 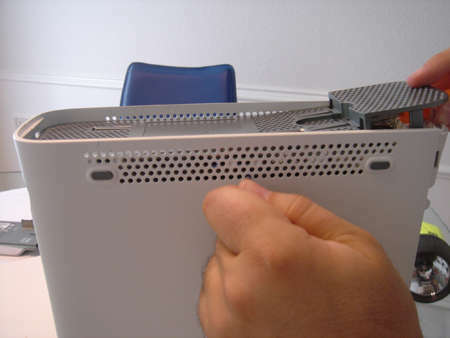 On the piece that holds the Harddrive, it can be easier to get the two tabs by going inside and pulling them out (shown below). 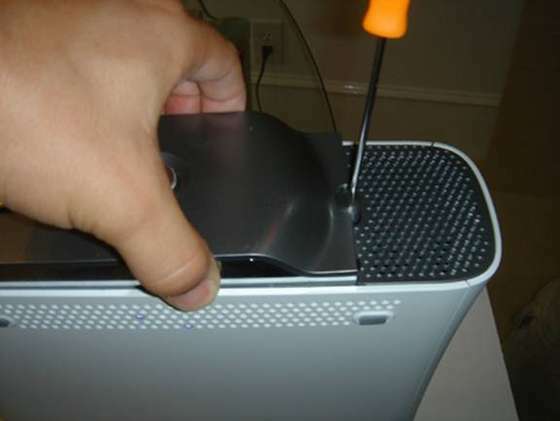 before we get started first we have to remove the metal piece that is under the top of the cover. To do this just give it a good yank it and should snap right off. This piece is no use to us. 1. Decide what type of window you want and sketch it out on a piece of card. 2. Once you are happy with what you sketched now you want to cut out the windows in the piece of card. 3. 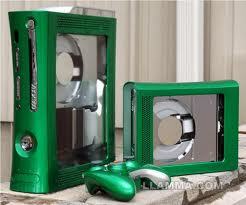 Trace the design on to the xbox 360 and make sure everything is straight and parallel like you want it. 4. Use a dremel with the cutting well on a low speed to cut about 3-5mm away from your line. 5. Once you have cut out the window(s) take your metal file and file down your cuts until they are about 1mm from the lines then take your sanding block with the medium grit paper (grit 80) and sand it down to the lines. Next file (with your needle files) and sand down your corners until they are also smooth and on the line. 6. Once you are happy with your window take the sanding block (or the sheet sander) and sand the whole of the outside surface of the case ready for painting. Before we install this I am assuming that you have already got a sheet of plexi glass cut to the right dimensions of 9“ x 7.5“ x 3mm. 1. Flip the cover that we just got done cutting hole in upside down. 3. Now we need to cut anything out that will prevent use from allow the plexi glass to lay evenly, so with the dremel get to work and sand out anything that sticks up above the surface. NOTE: The 2 screw holes in the middle are no use to us and we can cut them out, but make sure that all 4 corner screw holes are left alone. 5. 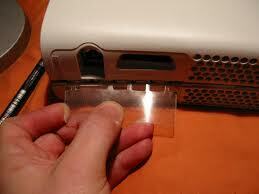 Test to see if your plexiglass will fit in the area that you cut out for it. Before you go any further prime , paint and clear laquer your case following the guidelines on the product make sure you don’t paint it for at least 24hrs after priming and don’t clear laquer it for at least 24 hrs after painting it then leave it 24hrs after the laquer was applied so it can harden! 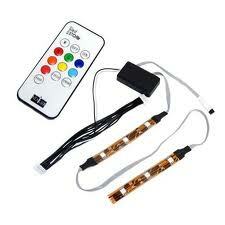 also sand and paint the controllers at the same time! 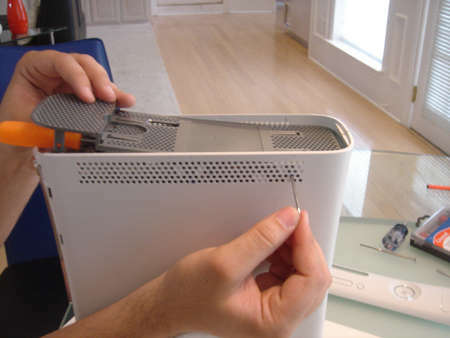 7.Attach the plexi glass to the cover with hot glue around all the edges and anywhere else you can get it without it being visible. 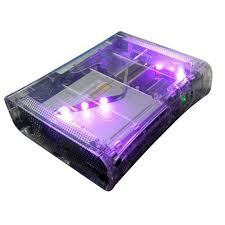 Note: if you have a Samsung or Toshiba drive this clear disc drive lid won’t fit your drive i will show you what to do instead. Note: when you buy this clear drive lid they will send you 2 diffrent ones but only 1 will fit your drive the other 1 is for a diffrent brand drive. 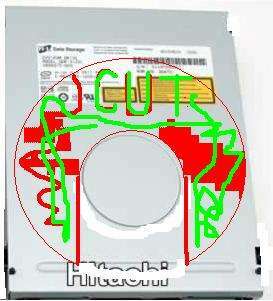 2. cut the round centering disc out of the casing you will need it to go in the clear lid if you have a Samsung or Toshiba drive dont cut the disc out of your casing leave it alone! 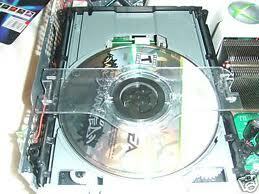 put your console back together because you are finished! 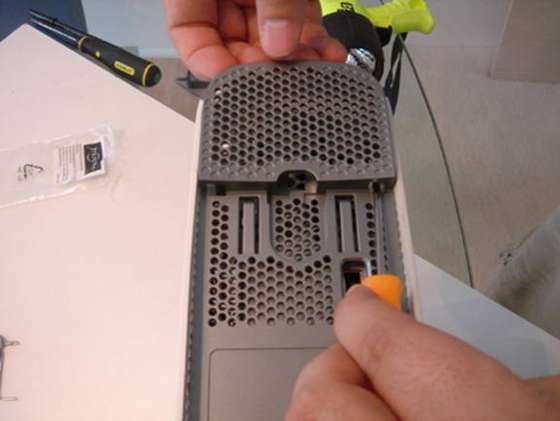 Now we are going to cut a hole in the housing that we just removed so you can the the disk spin when playing youXbox 360! 2. Mark where you are going to cut using a sharpie and an old CD. 3. 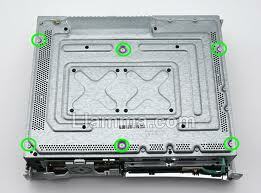 Make sure when you are cutting you xbox 360 or dvd drive is no where close so dirt and metal shavings don’t fly into it! Last edited by stevenn21; 23-06-2011 at 2:56 PM.